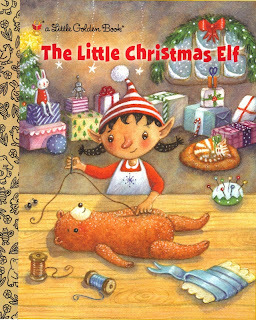 Nina, the littlest elf in Santa's workshop, doesn't finish the teddy bear she's making in time for it to get loaded onto Santa's sleigh-but, encouraged by Santa Claus himself to not give up, she works far into the night to finish it. While Santa is out delivering presents, a baby is born. Santa comes back for Nina's now-finished bear—and guess who he takes along to deliver it? I don’t think I’ll ever forget “the call.” I wasn’t expecting it at all, and it came during a really chaotic time. I submitted the manuscript in May of 2009, and over a year had gone by. I had given up on the possibility of it becoming a Little Golden Book, and had just submitted it to another publisher. I was working as the interim principal of the elementary school where I usually teach fourth grade, and the school year had just ended. The campus was practically deserted, and I was trying to finish all of my closing tasks so I could drive to Florida the next day (with hubby, two kids, and father-in-law) for a family wedding. There was no bitterness; I was genuinely appreciative. But when I opened the email, it wasn’t a rejection. She asked if the manuscript was still available. Now, I know people say “I couldn’t believe it!” all the time, but I really couldn’t believe it. It had been thirteen months! I think I read that email about four times before I really believed it. I think she thought there had been a death in my family. I rattled off the story and she hugged me. I couldn’t sit still, so I grabbed my cell phone and ran out the door. I called every member of my family and not a single one answered the phone! I went back in to try to compose an email response. I hit reply, but my hands were shaking and I couldn’t type. Eventually, I sent off an email saying that the manuscript was available. I called her back, and we had a lovely chat where she patiently listened to my excited ramblings. I didn’t have a big celebration, but the best part of it all was the shriek on the other end of the line when I told my 10-year-old daughter. That was all the celebration I needed. That kid had been saying for about six months, “Mommy, maybe it’s taking her so long to answer because she likes it and is taking it to all of her meetings.” She was right! I got a lot of great advice, both before and after the book sold, and I took it all. I went to an SCBWI session with Brain Farrey of Flux, and because of that I bought my domain name, got a matching email address and joined Facebook. I’d been avoiding Facebook for a long time! I used a combination of my nickname, maiden name and last name, because I got a lot of “adult” results when I searched for Nicole Smith and Nikki Smith. When the book sold, all I had to do was build my website. 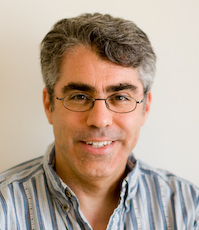 I also got advice from Greg Pincus at a SCBWI conference. I joined Twitter, made sure my website was updated, and started interacting more via social media. I linked my twitter account to other sites, to make updates easier. 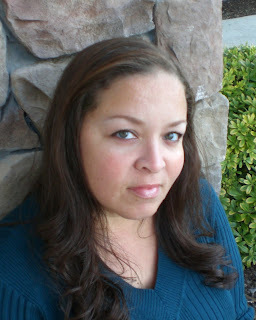 I started accounts at Goodreads, JacketFlap, and Author Central (Amazon). Lia Keyes’ blog had great advice on how to set up a Facebook Fan page, which I followed. And there is nothing like the grapevine of a gigantic and very supportive family to spread the word! Next, I had to think more about the book and getting “out there” physically. I combined my own ideas with ideas I found on Alexis O’Neill’s website, School Visit Experts.com, to create a media kit and information for schools. I also found great resources on the SCBWI website. I asked neighboring regions of SCBWI to publish my good news in their newsletters. When the opportunity came up to apply to speak at a local SCBWI conference, I took it, and was accepted. 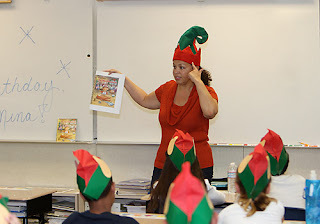 I did the same for a local literacy event and was asked to visit the venue twice during the fall/winter seasons. My name and book title were (or will be) included in the promotional materials for all of these events. I hit the pavement and introduced myself at local bookstores, leaving copies of my book postcard and bio. I also sent out a couple of advance copies for review. All of this felt awkward to me, but I was booked for a few events that I consider to be a “big deal” as a result. For me, it’s a huge perk that each of these events allows me to give back to SCBWI and to my community. As the release date got closer I combined my own ideas with Michael Stelzner’s launch ideas and did a countdown on my author page. I contacted our local paper and invited a reporter to the “book birthday party” in my fourth grade classroom on the release date, and he agreed to come with a photographer. I’m still really nervous about public appearances, but I guess I’ve gotten somewhat accustomed to promoting the book now. It’s a lot of work, and is sometimes uncomfortable, but I have to admit… I’m loving it! I consider it a celebration to which everyone is invited, and that makes it feel more like a party. My advice to others would be to take the advice of others! Be proud enough to toot your own horn a little bit, be willing to help others, be yourself, and enjoy your dream come true! The bedroom-office-exercise-TV room where Nikki wrote her first book. She now has a dedicated room for writing. Yay Nikki! What a great story -- both the "call" and the actual story. I remember reading that early draft and loving it. Love the elf hats picture. That must've been fun. Exciting story Nikki! I'm happy for you! Rena, I love that you collect LGB. I believe Nikki may be the first author from that line that I've had a chance to feature. Traci, how fun that you got to see an early version of Nikki's manuscript! Jill & Lia, thanks for offering your cheers! Thanks for celebrating with me, everyone! It's been a wonderful experience in every way. I'm feeling especially thankful this year.